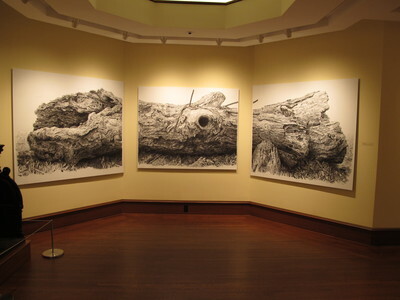 Installation shot of Rick Shaefer: Rendering Nature at the Bellarmine Museum, September 18, 2014 - February 7, 2015. © Rick Shaefer, all rights reserved. Please contact the Bellarmine Museum of Art for any permission requests.